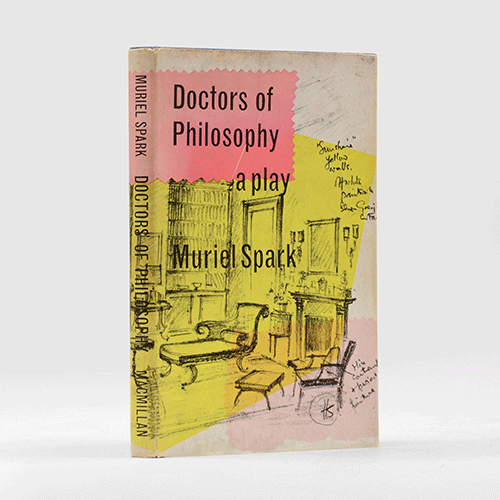 Muriel Spark's great skill as a novelist was prying open the lives of seemingly ordinary people, and revealing the chaos and turmoil beneath. 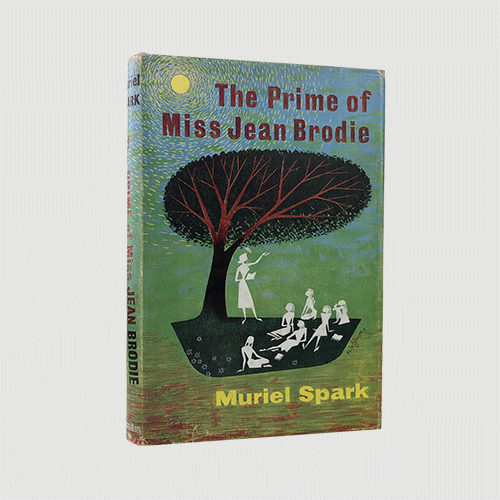 The Prime of Miss Jean Brodie should be on everyone's reading list. Some of her finest writing coincided with an era of magnificent dust jacket design in London with Victor Reinganum's artwork particularly memorable. A Scot who moved to London, Spark's own story was not dull. Born in Edinburgh on 1 February 1918, she walked out on an unhappy marriage, leaving behind her son. She worked in intelligence in World War II, converted to Catholicism, and edited the Poetry Review magazine. She went on to live in New York and Italy. Her archives are housed in the National Library of Scotland. She died in 2006 at the age of 88 and was buried in Italy. 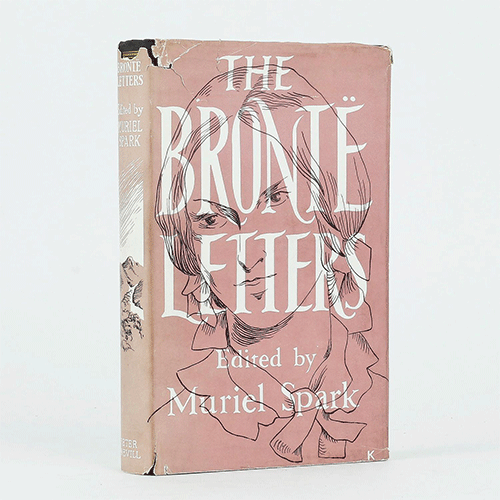 A signed first edition of The Prime of Miss Jean Brodie will cost $2,500. 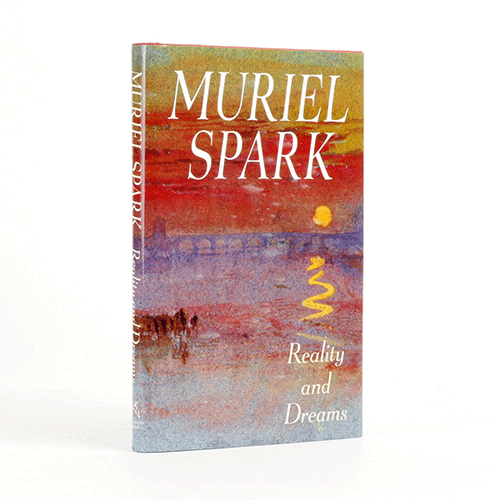 Prices are in three figures for first edition copies of Spark's other notable books, although later printings are cheaper. 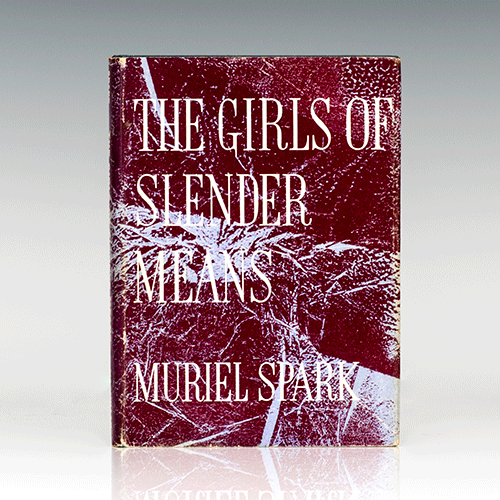 First editions of her later books are very affordable. Pictured below are a selection of Spark's books that we love for their looks and content. 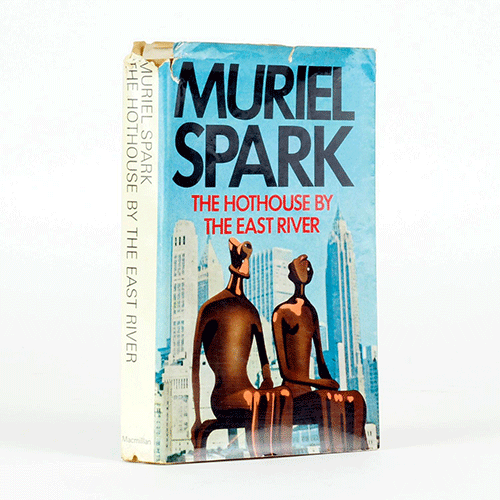 There are more - Spark wrote biographies, essays, poetry and short stories, and worked well into her eighties. 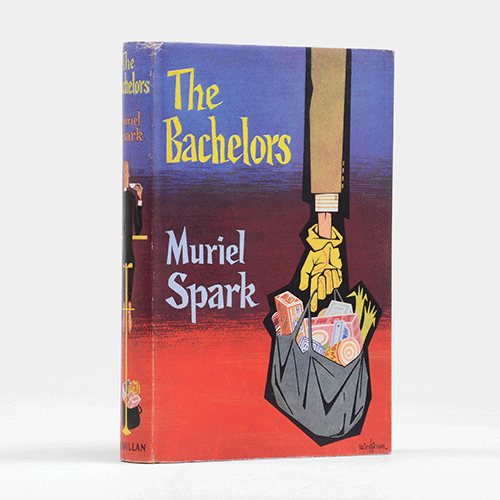 Edited by Muriel Spark in the days before she wrote fiction, this selection of correspondence provides a deep insight into the world of sisters Charlotte, Emily and Anne. A year earlier, Spark had co-authored a biography of Emily along with Derek Stanford. Published by Peter Nevill. 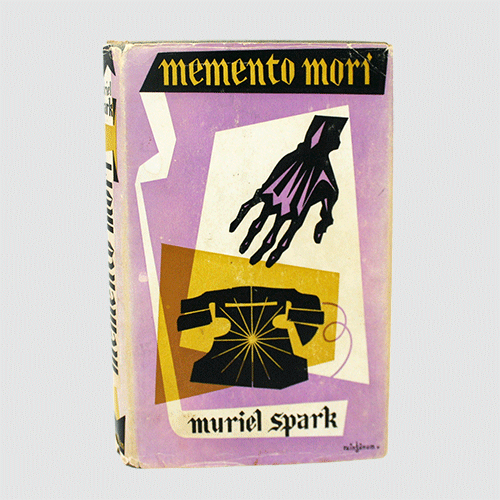 Muriel Spark's first novel, published by Macmillan. It's a story of Catholicism and the mind. It was published after being endorsed by Evelyn Waugh among others. 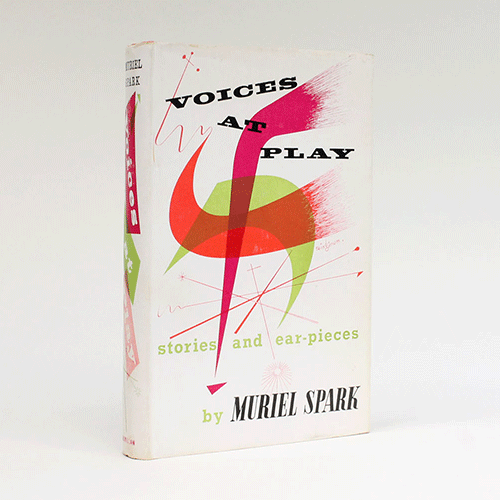 Victor Reinganum designed this cover for Macmillan. 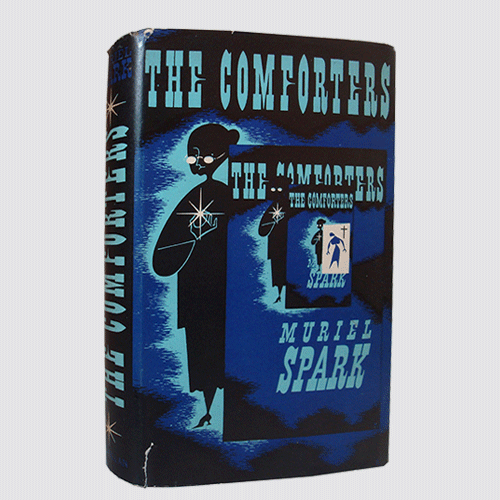 Reinganum produced dust jackets from the 1920s to the 1960s, and also worked extensively for the Radio Times. 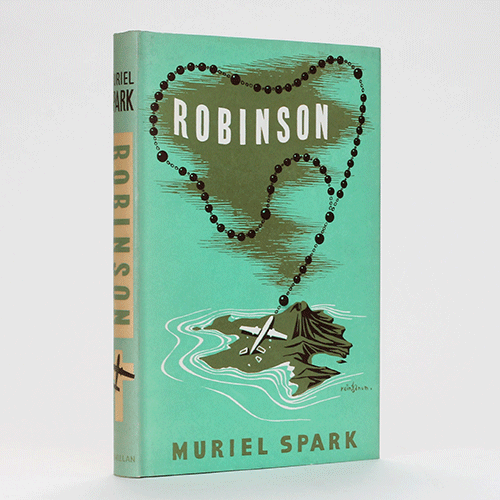 Robinson is a suspense novel about three castaways marooned on an island. A collection of short stories looking under the veneer of respectability. Cover illustration by Terence Greer. Another Reinganum jacket. The Latin title translates as 'remember you must die' and the plot concerns hateful phone-calls made to an elderly lady and her companions. The novel concerns a Scotsman moving to London where he wreaks havoc. Wonderful artwork by Reinganum, one of his best. A comic turn from the cover artist Reinganum. This novel sees a group of bachelors disturbed from their male-only existence by blackmail and fraud. Spark's most famous book, matched by Reinganum's best known design. Set in an Edinburgh girls' school, this is a novel of trust and education that goes way beyond the classroom. Vanessa Redgrave starred in the 1966 London stage adaption and Maggie Smith played Brodie in the 1969 movie version, winning an Oscar for best actress. 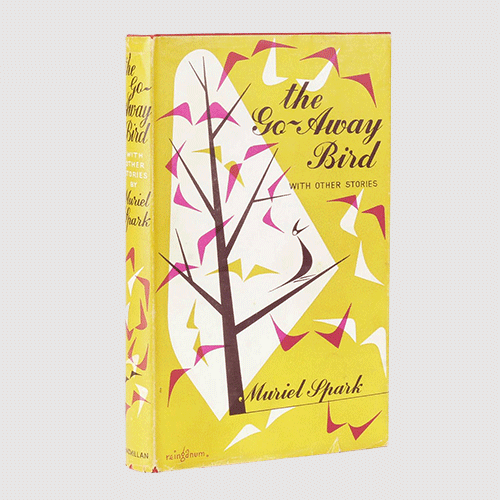 Spark's second collection of short fiction after The Go-Away Bird, this book contains six stories and four radio plays. Another jacket design by Victor Reinganum. Spark's first play. Dust jacket art by H. Cowdell. A novella about life in post-war Kensington. H. Cowdell was the Macmillan's jacket illustrator. This children's book was first published in the US by Knopf with Edward Gorey providing the illustrations. 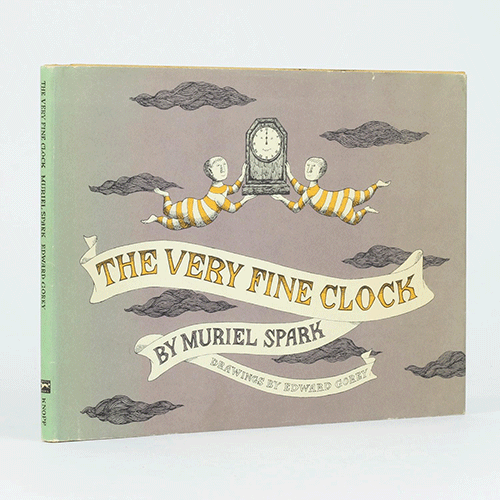 Professor Horace Morris buys a clock called Ticky in Switzerland and the adventures begin. Spark looks beyond London and writes about a couple, living in New York, who find their past work in British intelligence comes back to haunt them. 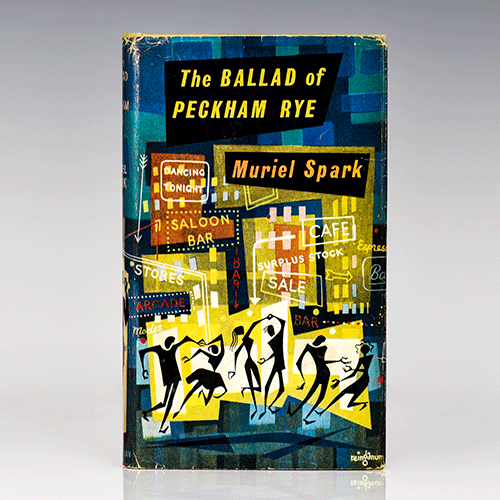 This Macmillan jacket particularly shows how design styles had moved on since Spark's beginning in the 1950s. Set in Italy, this novel concerns three villas and their inhabitants. By this time, Spark was living in Italy. Peter Goodfellow provided the cover art. Published by Constable, this novel is about a dinner party and the five couples attending it. The cover art shows a view through a window into an ordinary life, which pretty much sums up Spark's style. 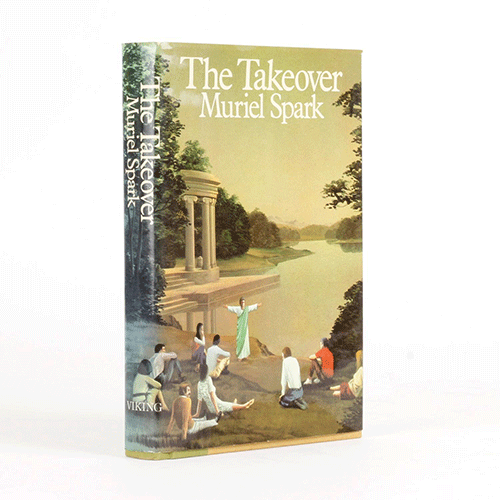 Houghton Mifflin's first American edition from 1987. Following an on-set accident, a film director envisions his perfect film. 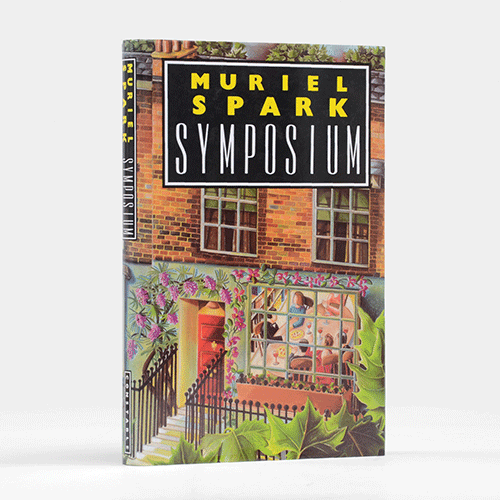 What is your favorite Muriel Spark book?